ProjecTables: Augmented CNC Tools for Sustainable Creative Practices – ixd! 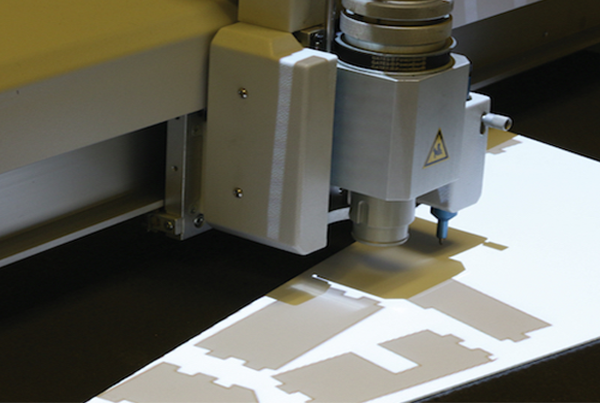 CNC cutting machines have become essential tools for designers and architects enabling rapid prototyping, model-building and production of high quality components. Designers often cut from new materials, discarding the irregularly shaped remains. We introduce ProjecTables, a visual augmented reality system for interactive packing of model parts onto sheet materials. ProjecTables enables designers to (re)use scrap materials for CNC cutting, that would have been previously thrown away, at the same time supporting aesthetic choices related to wood grain, avoiding surface blemishes, and other relevant material properties. 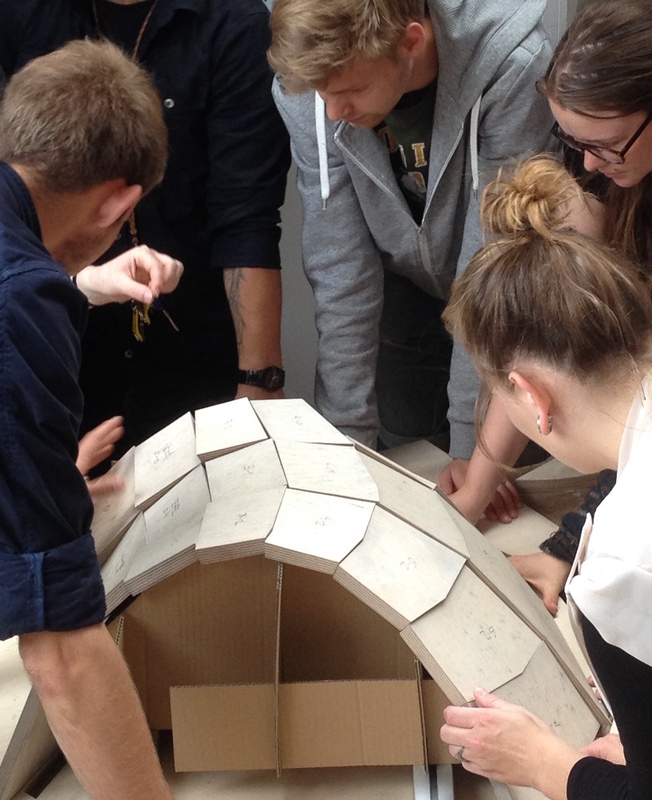 We conducted evaluations of ProjecTables with design students from Aarhus School of Architecture, demonstrating that participants could quickly and easily place and orient model parts reducing material waste. 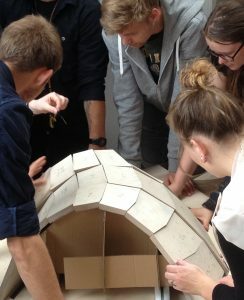 Contextual interviews and ideation sessions led to a deeper understanding of current work practices and sustainability issues with CNC cutting-machines, and identified useful features for interactive packing to reduce waste while supporting aesthetic concerns for exhibition quality design projects. This work was supported through an industrial research grant from Innovation Fund Denmark. ProjecTables uses projection (spatial augmented reality technology) to guide the designer through the cutting process and enables shape placement and positioning to reduce wasted material, reduce errors and support new work practices in the design studio. This work has been accepted for presentation in the CAADRIA2017 conference and extends existing work aimed at improving digital fabrication tools. Rasmussen, T. & Merritt, T. ProjecTables: Augmented CNC Tools for Sustainable Creative Practices. In 22nd International Conference on Computer-Aided Architectural Design Research in Asia (CAADRIA 2017), Full Paper Accepted for Publication (2017).